Sophie has my respect and admiration. 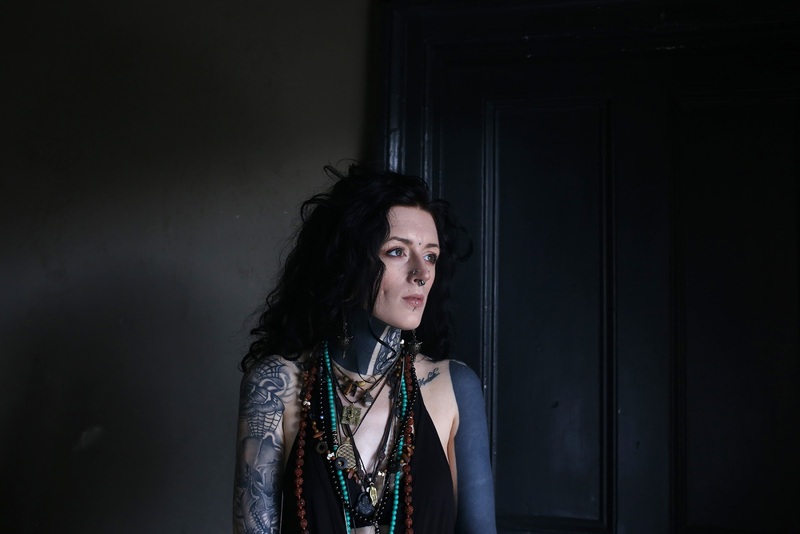 A tattoo artist from Essex, Sophie has lived through difficult experiences, which she talks about openly in this interview. 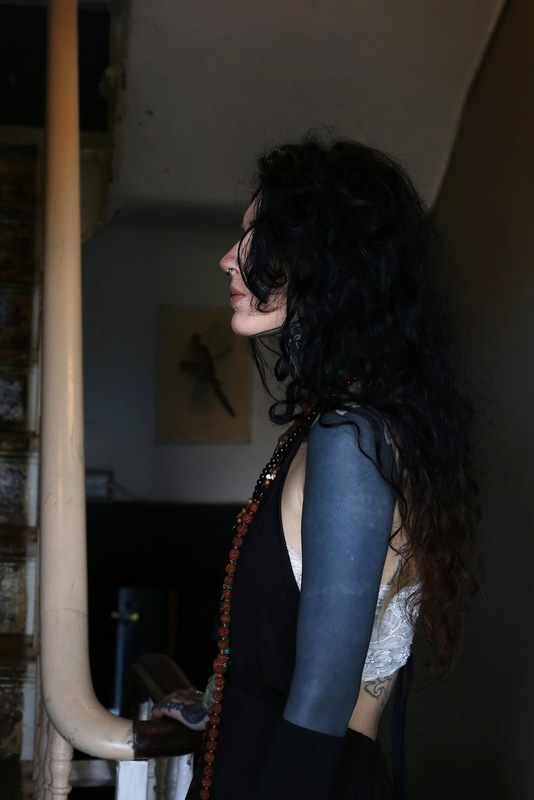 In her own words, tattooing saved her life. When did you first encounter tattoos? I remember being young and seeing someone covered in art. This prompted so many questions. For so many years I felt so lost and unable to express myself, like most teenagers. Then I educated myself on the ability to express and explore the human form through my own flesh. I chased this feeling and for me that changed everything. I would skip school and hang outside a tattoo studio to try to get noticed. To find a way in. I hated school. I hated uniform and conforming, so for me this was my escape into the life that best suited my soul. Everything this culture had to offer made sense to me. I loved the complete freedom and ability to make my reality exactly what I wanted it to be with no confines, rules and structures. It also gave me a home. Being alienated and singled out didn't matter in everyday life anymore because I knew that something bigger was waiting around the corner for me. How old were you when you got your first tattoo? Did you plan it carefully or was it spontaneous? When I first got tattooed I was 12/13. I was at the skatepark and I grabbed an Argos pen and a pin and started tattooing myself. I don't advise it, but it happened and that's just history. I wanted to escape. How would you describe the role tattoos play in your life? They teach me self-acceptance, patience, understanding and managing pain. Tattooing has become my saviour. I’ve had a past of drinking and taking various other toxic attributes and when I found the ability to put a pen to paper and a needle to skin I’d find hours had passed and I had become lighter. My clients may not be aware of my inner turmoil, but I will forever be grateful for the trust, honour and time they give me. This job, in a way, saved my life. Can you tell me a little bit about your back tattoo? My back piece is scarification and ink rubbing. The process is very different to a tattoo. It takes a different kind of strength. After each session, I had to scrub the scar with sugar and rub it with ink and then rewrap it with cling film. It was a long and emotional journey. The piece symbolises my journey of rebirth through an unfortunate event where I lost myself down a rabbit hole for a while. Did you always plan to be heavily tattooed or did it happen gradually? I planned very little of this life. Not only tattooing, but also every other aspect. Life is so unpredictable. I just took this path and have created what I can with the tools I have. Something so time-consuming, painful and challenging as tattooing cannot, in my opinion, be planned - it grows and it happens naturally. What are some of the positive and negatives reactions you've received and how have these made you feel? I have such mixed reactions from people. But if you do anything bold enough in life that’s just what happens. I have people look at me and move away from me and speak loudly about me negatively, and yeah that's horrible at times. It's exhausting and painful, but it teaches you a lot about other people, but about yourself also. 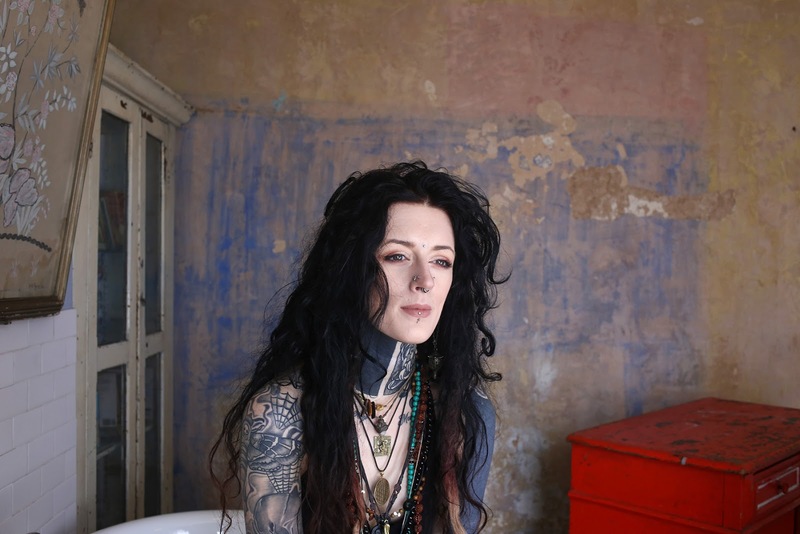 On the positive side, tattooing and being a tattooed woman has introduced me to the most incredible life and people. 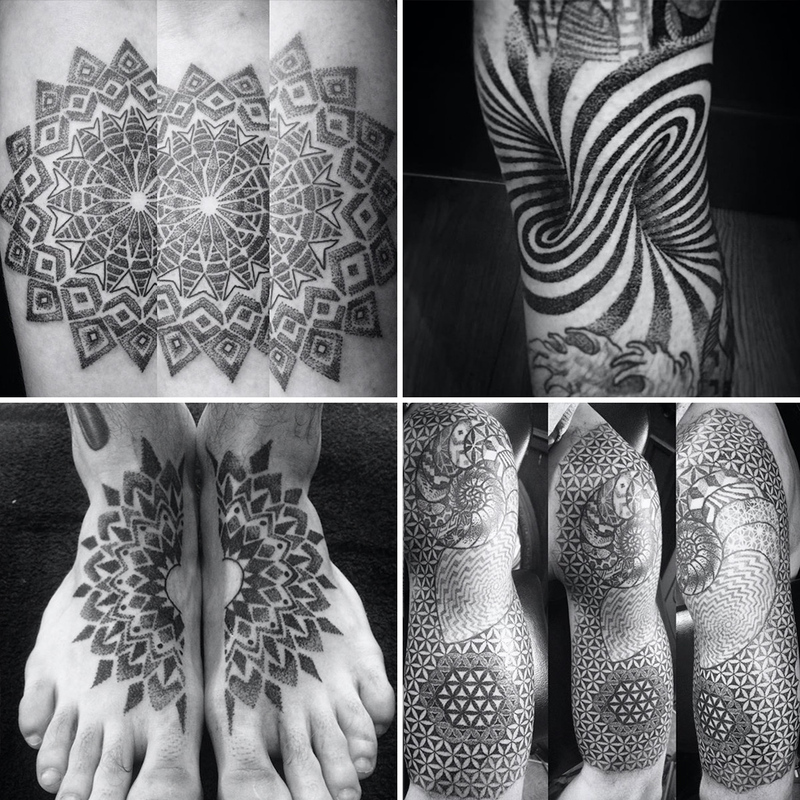 What are some of the biggest challenges you've experienced as a tattoo artist? Some of the challenges I've faced as a tattoo artist are the acceptance that I have ‘a real job’; that this life I live and passion I feel is worthy and not a "phase". As an artist in any form you will never be happy with your work - not completely. Someone very wise and close to me once said "the day you’re 100 percent happy with your work, that is the day you should stop and put it down." Have you set any goals for yourself (small or big) in terms of what you'd like to achieve as a tattoo artist? Every day I set a goal of being better. I want to learn. I want to share real experiences with people and create memories, experiences and artwork to last a lifetime. I want to grow as a woman, an artist, a friend, a human. All I can do is use my ability to heal to help or just make people happy. At the end of the day happiness is all you can ever ask for. 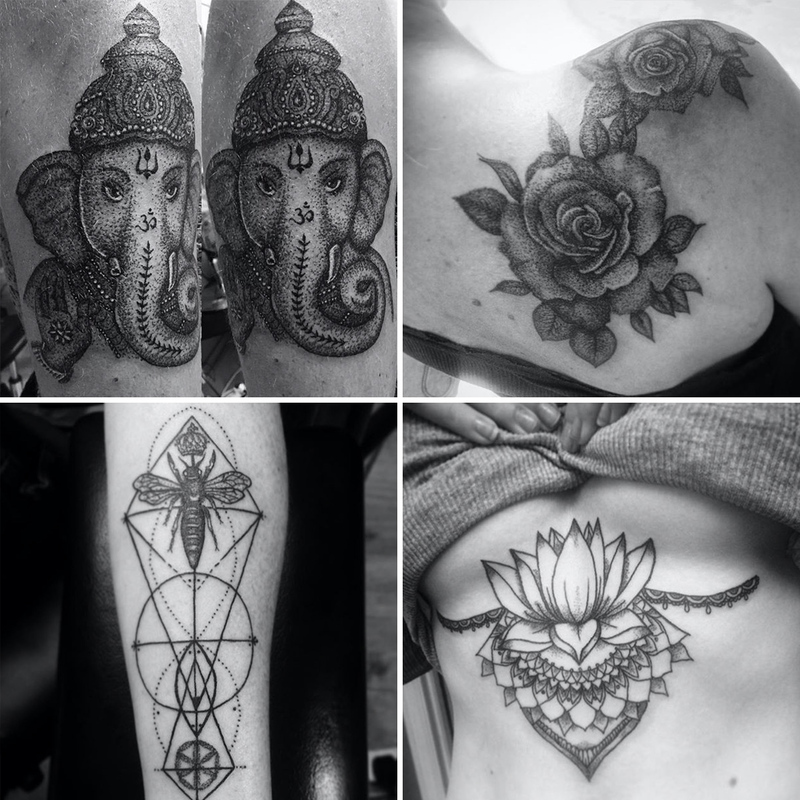 Can you tell me a little bit about your blackwork tattoos and what they mean to you? My black work is a different type of tattoo for me. My black arm covers self harm scars, so it represents me being ‘in the dark’. With every bit of happiness I will put white ink over the top - to find the light in the dark. It’s a painful and hard process to heal. It teaches you so much about your own mind. It’s just another map of where I’ve been. 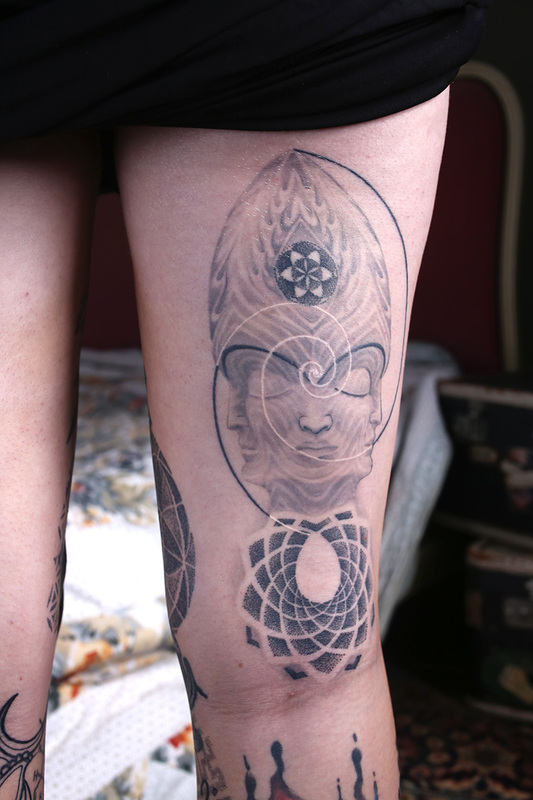 Blackwork has become so fashionable nowadays. That may be someone else’s choice, but mine has always been deeper rooted. What do you think it takes to become a good tattoo artist? That’s a hard question to answer. It would imply that I’m a good tattoo artist. I don’t think I’m a bad one, but I don’t think I have the right to set the criteria for good or bad. Ideally, not just a good artist, but a good person. No ego. Willing to be told every day new ways to open up and learn new techniques. To be gentle-minded, loving, open and patient with people. To always go away and reflect on the day. To step back and be humble.